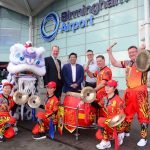 We’re proud to once again co-produce the official Chinese New Year celebrations with our good friends and neighbours, Birmingham Chinese Festival Committee. 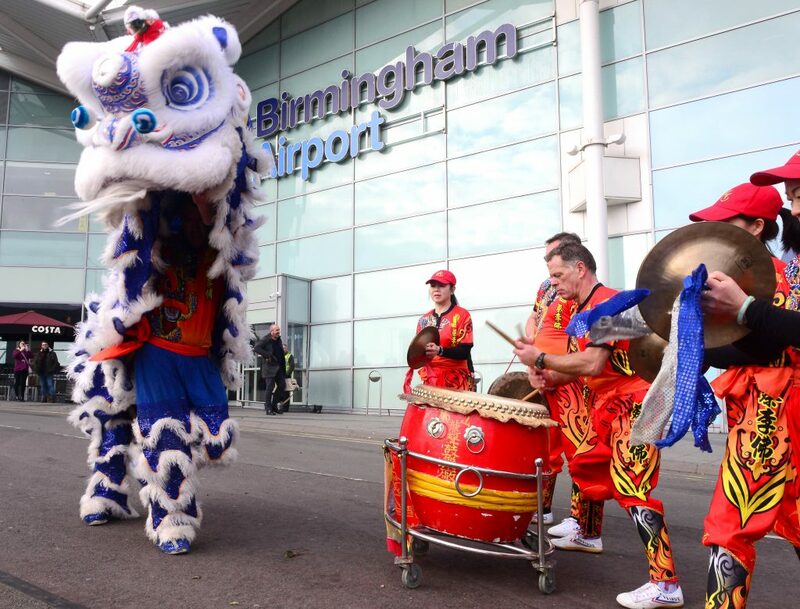 We’re working with headline sponsor Birmingham Airport and all of our event partners across the city to deliver a fantastic free event for Birmingham and the West Midlands. 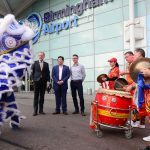 The festivities were officially launched yesterday (Monday 14 February) with a special lion dance at Birmingham Airport. 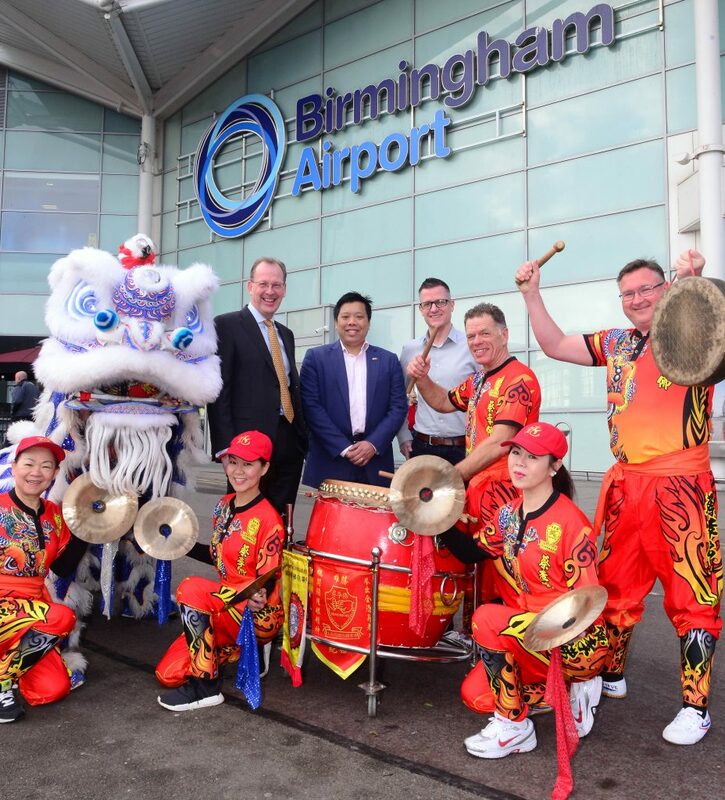 The traditional performance, which is said to bring good luck and wealth for the coming year, was enjoyed by the airport’s newly appointed CEO Nick Barton, Graham Callister, our Associate Director of Community Engagement and Festivals, and James Wong, Chairman of Birmingham Chinese Festival Committee. 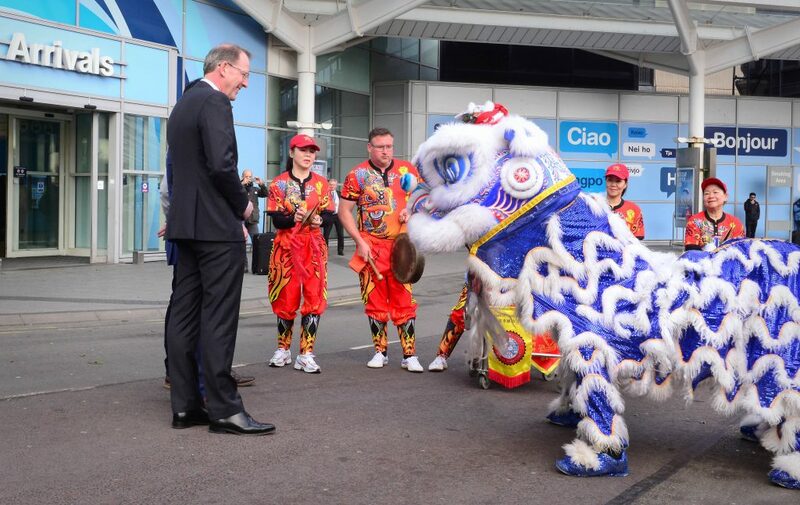 We’ll be celebrating The Year of the Pig across the city from Friday 8 – Sunday 10 February, with an array of traditional performances, tantalizing food and creative craft workshops. 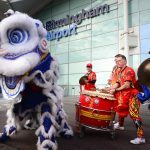 Join us for Chinese tea and a free lunchtime concert on Friday at 1pm in Birmingham Cathedral with performances from Birmingham Conservatoire and Dans Dance Company. 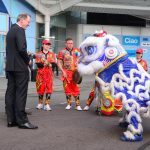 Then, the celebrations head right into the heart of the city centre on Saturday afternoon from 12 noon. 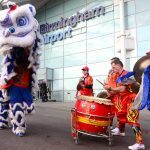 An exciting parade of lion and dragon dancers throughout Bullring and Grand Central will delight spectators, as well as acrobatics and martial arts from Shaolin Warriors, Hip-Hop dance from Hong Kong-born choreographer Si Rawlinson, and traditional fan and face changing dancing from Dans Dance Company. On Sunday, Southside will come to life with acrobatics, circus, dance performances and karaoke on two stages, market stalls and a fun fair. Escape the cold for a while with our free performances in our Patrick Studio or family craft workshops in our foyers. 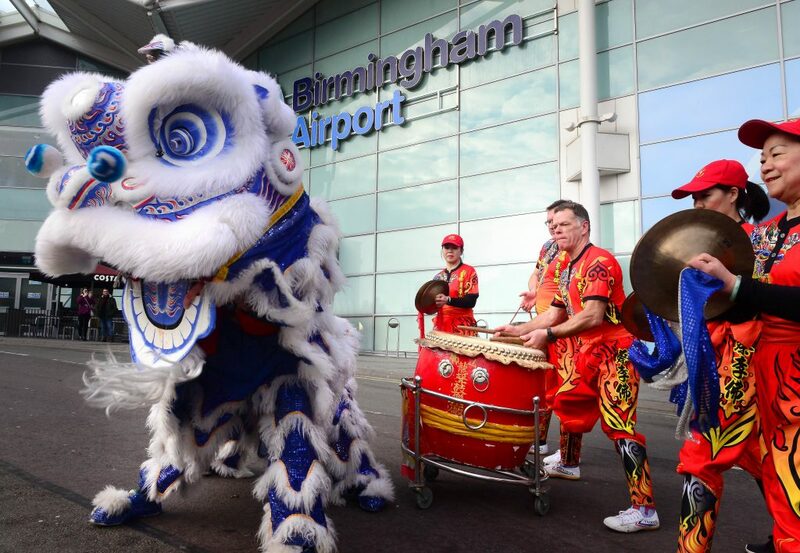 Come and join in the festival fun celebrating our rich cultural scene in this amazing city. 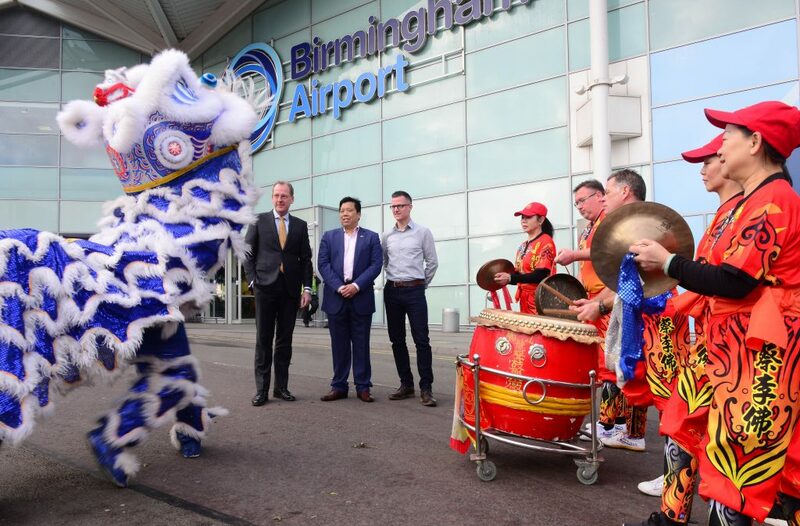 Birmingham Hippodrome is co-producing this year’s Chinese New Year Festival with the Birmingham Chinese Festival Committee and supported by event partners: Birmingham City Football Club, Southside BID, The Timber Yard, Apsley House and Galliard, LCP Arcadian and Colmore BID.